Slow flowing transparent blood. Easy to wash out. Transparent blood is a liquid artificial blood that is very versatile in use. It is specially designed for use in film and television, as the dark color, viewed through a camera, simulates an almost real situation. 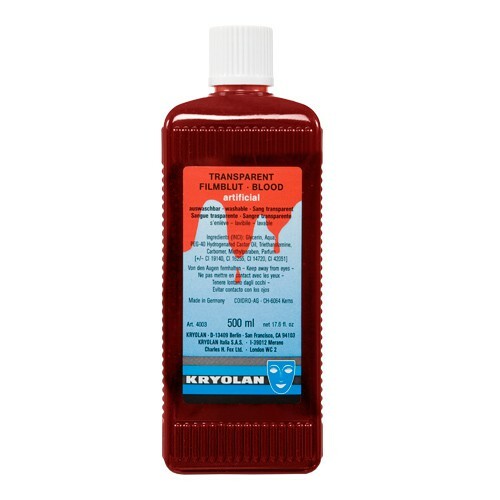 Transparent blood is slow flowing and can be easily washed out of almost all materials with water and detergent. Keep away from the eyes. Shake well before use.